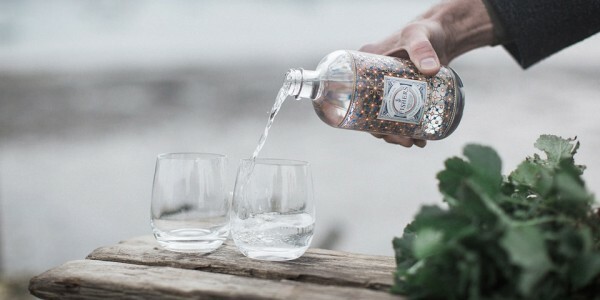 Oh we do like to be beside the seaside… especially when sipping on a refreshing Fishers Gin and tonic. It is the English coast, specifically the Suffolk coast, that inspired the unique make up of Fishers gin. A coastline that is rugged, wild, full of raw energy and a distinctly British vibrancy. Think grassy fauna, natural marshes, rugged estuary banks and wise fishermen with wooden boats and weather-beaten faces. Just like these fishermen before them, the founders of Fishers gin mined Suffolk’s wilding landscapes, scouring the many miles of marshes and fertile pastures made mineral-rich by the sea. Whilst the North Sea can often be harsh and unforgiving, the adjoining land is lush and fertile and home to a multitude of botanical delights. And it is these very botanicals that form the base of Fishers gin and help capture the taste of the rural English coast. There are four botanicals in particular that set Fishers gin apart from others. Firstly, the curious and rare Spignel; a highly aromatic plant of the parsley family with a white flower. Spignel forms the crucial backbone of Fishers gin’s flavour profile and is so rare, that the Fishers team have actually cultivated their own source. Secondly, Rock Samphire. Found in craggy outcrops where it only germinates in very specific conditions, the team use the flower and seed head of Rock Samphire as these elements reveal the strongest fragrances. Next, Wood Aven – a notoriously difficult botanical to harvest due to its fibrous roots that often break when pulled from the ground. It is the aromatic claw-like root which is used in Fishers Gin, rather than the flower element which has long been used for medicinal purposes. Finally, Bog Myrtle. As the name suggests, it is found in bog-like landscapes and can only be foraged at a specific time of year as the signature scent changes from month to month. An enigmatic plant as unpredictable as the ocean, head botanist for Fisher Gin, James, states it “smells like Christmas”. Infusing these mystifying and intriguing aromas with traditional botanicals and alcohol, Fishers Gin’s distilling process is also unique. The spirit used for Fishers Gin starts its life as barley grown across East Anglia and is sourced from the same farmers each year. After being malted, the head distiller produces a barley wash, which is then fermented to seven percent alcohol using an eight-year-old house yeast. Once stripped, polished and rectified, the 100% East Anglian Barley Spirit is at ninety percent alcohol and makes the perfect base for a gin as unique and pure as Fishers. The carefully prepared roots, leaves, seeds and berries are steeped in the barley spirit overnight and then receive a final shot-distillation in a copper gin still. The still incorporates three plates and a condenser to control reflux and produce the most flavourful, full bodied and aromatic gin possible. But what does it taste like? An intriguing gin, Fishers is perhaps not the first choice for juniper purists. In a G&T, garnish with a wheel of lemon. The citrus will help freshen the more herbal and spiced elements. Fishers suggest the sweet garnish of dried pineapple which counteracts the gin’s more savoury profile. Aromatic and herbaceous, with a long peppery finish, Fishers is a truly premium British gin, as beguiling and wild as the open sea that inspired its creation.